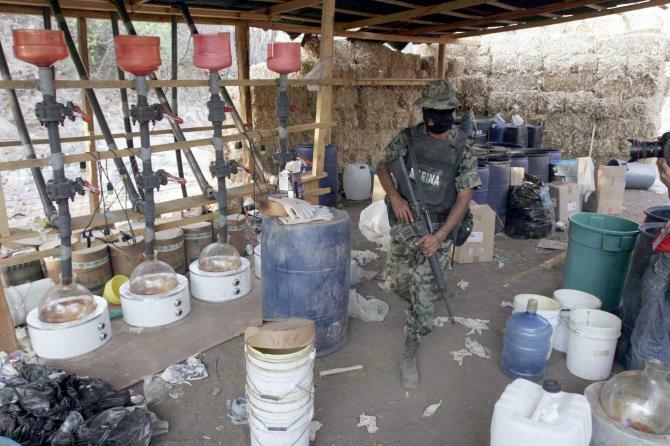 Badiraguato, Sinaloa is the birthplace of drug trafficking in Mexico, the genesis of today’s violence. It is a land of contradictions where marijuana is extensively cultivated and yet the community remains one of the poorest in the nation, abandoned to its fate. It is not a place for the weak. The 2010 Census by the National Institute of Statistics and Geography (INEGI) showed that Badiraguato, where the second most wanted man in the world and billionaire narco Joaquin "El Chapo" Guzman was born and raised, is included in the group of 200 municipalities with the most extreme poverty in Mexico. In Badiraguato one third of its 35,000 inhabitants fall within the level of “pobreza alimentaria”. Simply put these are families that do not have enough to eat. The hunger is distributed in the mountains, in eleven scattered villages and countless hamlets above the town. A world where many homes are constructed of cardboard or sheets of tin or crumbling adobe, where the women and children live barefoot. Surrounded by hills and streams, these communities can only be reached by 4 x 4 vehicles or ATV’s or horseback. The journey should be taken during the day because there is no lighting or even proper roads. Located in the Maize (corn) geographic agricultural zone where the latest technology is available, this town is not integrated into the production chain. Relying on the seasons, without private investment, navy beans, corn, peanuts, apple and pear crops were abandoned a decade ago. The reputation of this area and the stereotypes are not metaphors. Few people venture into the hills surrounding this rural enclave. The beautiful landscapes are worthless. There are no tourists attractions, no convenience stores, bars or expensive restaurants. 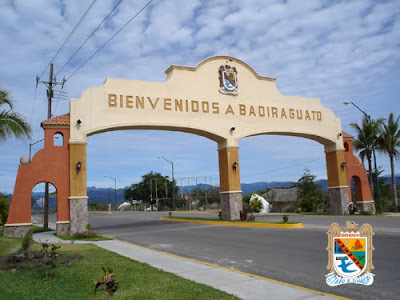 Badiraguato is the second largest municipality in area within the state of Sinaloa, but for 2011 received the lowest budget, which totaled 100 million pesos. "Barely enough for current expenditures," says the mayor, Angel Robles, a school teacher who took office on January 1st. Mexican soldiers on an aerial sweep over Badiraguato. Their mission is to search and destroy marijuana fields and meth labs. 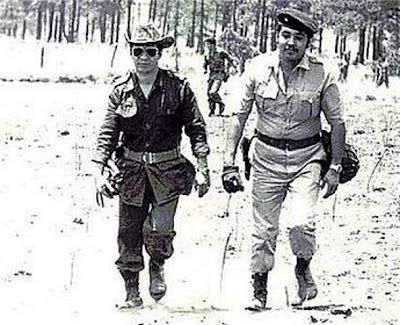 In the 1950’s Rafael Caro Quintero, convicted in Mexico and serving a 40 year sentence for drug trafficking and the murder of Camarena, and Joaquin “El Chapo” Guzman Loera, the head kingpin in the Sinaloa cartel were born in the villages up in the hills. 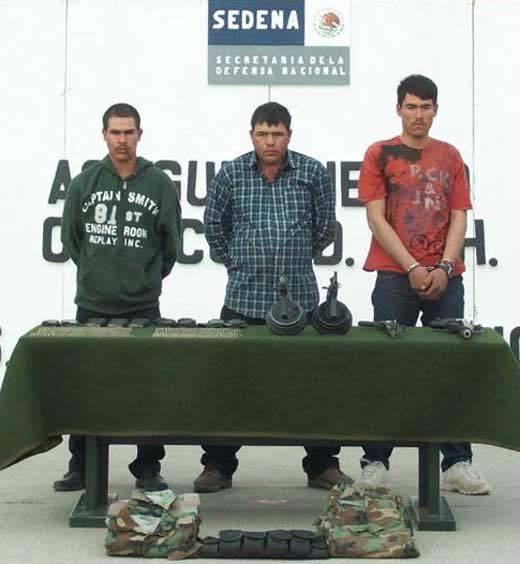 In the 1960’s Arturo, Alfredo, Carlos and Hector Beltran Leyva, the brothers who founded the Beltran Leyva cartel and distant cousins of “El Chapo” were born and raised in Badiraguato. The men of Badiraguato are widely seen as macho, closemouthed people of tight knit clans, with traditions of intense loyalty, blood feuds and honor killings. It is said that the code of silence in Badiraguato is deeper than that of the Sicilian Mafia. "It's true. All that is true. They were born here. They saw poverty and went to seek a better life. Some would return and help with food. Others are still in search of their life, "says Mayor Angel Robles. The roots of drug trafficking in Badiraguato go back to start of the 20th century when Chinese migrants arrived in the area as cheap labor for the construction of railroads and brought their knowledge of the cultivation of opium with them. It was found that the sierra surrounding Badiraguato had the perfect geography and climate and poppies became a permanent fixture in the agriculture of the municipality. Opium still played a minor role until the market exploded during the Second World War and morphine was in high demand worldwide. During the post war period the market for morphine and heroin from soldiers returning to the U.S. and the remoteness and inaccessibility of the Bidaraguato sierra led to the formation of criminal enterprises dedicated to drug production and trafficking. 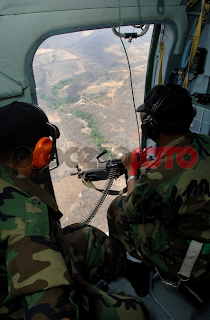 Badiraguato continues as the Mexican municipality most identified with drug trafficking. However, it does not appear on the list of high risk municipalities receiving a federal subsidy for their Municipal Public Safety department. According to the municipal police chief, Jorge Flores Servin, the municipality does not have adequate vehicles to reach the villages in the surrounding hills. At the start of the current administration Badiraguato had only 30 police vehicles and 32 officers. And to Flores Servin these resources are insufficient to cope with insecurity in a municipality that covers 2,300 square miles, about half the size of Connecticut, with many of the roads up to the villages in the surrounding hills impassable during the rainy season from June to September. "Our resources do not correspond with the commonly held view of a violent and cruel Badiraguato,” said the Chief. This complex human landscape is locked in a circle, with no way out. In the 1970's, the regional singer Chalino Sanchez sang in his corridor to Badiraguato: "...Why do they blame us for growing opium here, I just want to clarify we plant everything here." In the winter of 2011 there is nothing left to plant. In these imposing natural surroundings agriculture is not spoken of aloud. Code words are used, or smiles, or silence, or silent smiles. Meanwhile, one must look past the dry fields. Oscar Aguilar Soto, of the Institute of Economic and Social Research at the Autonomous University of Sinaloa (UAS), says: "Badiraguato has been excluded from agricultural production because people see it as a harsh, aggressive and delinquent setting. Investors are afraid to initiate projects here, or to even put into place sustainable seasonal agriculture for the local market." “This isolation contributes to the lack of employment and no income,” says Soto. "So people become prey to drug trafficking." This intricate destiny began in 1970. Arturo Lizárraga, a researcher of Sinaloa migration studies, argues that is the year the sowing and harvest of marijuana began in Badiraguato’s high sierra. It became the catalyst for the daily violence in people’s lives. The federal government sent the first Army troops to the villages to catch the marijuana growers. Victimized by the suspicion of the authorities, many residents fled. Others who stayed seized the vacated lands. Some who fled returned and seized other lands. Seven years later Operation Condor was launched, which meant the distribution of 10,000 soldiers in the region dubbed the "golden triangle", the mountainous area Sinaloa, Durango and Chihuahua meet. Since then Badiraguato has been considered the gateway to that triangle. The cemetery with graves of adolescents and young adults are the most reliable evidence of this chronic unremitting tragedy. Better to live like a “rey” (king) for six years than a “guey” (fool) for sixty is a common saying in this municipality. Four generations of men are buried in many plots. Everything one sees here confirms that in five decades there has been no peace. These hills build fear in some and conviction in others. A primary school teacher in the town explains: "No, children are not indoctrinated into drug trafficking. It is simpler than that. The children have their parents or siblings in jail. Or dead. Because they were tending the fields or were in the outlaw life or were gomeros (men who specialize in growing opium poppies). Because of shame, anger or solidarity or any other reason they all enter that life. Illegal activity is not condemned or praised. It is treated with silence." A section of the Cejus campus in the village of Surutato, an alternative school for the poor children of the Sierra de Badiraguato. Surutato is one of the 11 villages in the Badiraguato municipality. It is full of pine trees. At dawn its streams are covered with a layer of ice, but by noon they are warm. It is one of the highest points in the mountains of Sinaloa. The contradiction is embedded in this village of 1,000 inhabitants. The Justo Sierra Center (Cejus) is located in Surutato. 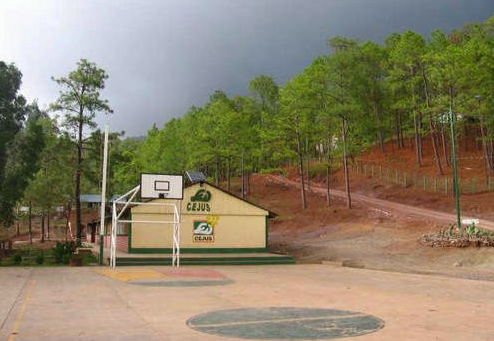 for Justo Sierra (Cejus), the only surviving campus of a post-primary level project promoted by the Public Education Ministry (SEP) in 1970 to bring secondary education to marginalized communities. Not only has Cejus survived, it has grown to include postgraduate level studies. The Cejus campus offers primary, secondary, high school, seven bachelor level programs and masters and doctoral degrees. The advanced academic areas include engineering degrees in agricultural and animal production, natural resources managment, aquaculture, vermiculture, apiculture and water resources management. A separate building serves as a boarding primary school. These days, there are 100 children who are growing up there. Many prefer not to speak of their origins. More than half are orphans. Joel Lopez, the current director of Cejus, reports on enrollment: "Orphans of Operation Condor that were Cejus students became advisers to the institution. Operation Condor ended but the orphans are still coming. This is a conflict zone. We can not deny this." According to Lopez there is a fundamental reason that Cejus has prospered: "We are committed to innovation, not to speech or paper. We understand that right here in Badiraguato, we must form part of the country's human capital." “In Badiraguato there are two choices in life: the criminal life or Cejus. We have proposed an honest commitment to life. We want to be legitimate business people who create businesses that succeed. We want to create citizens of the world." The specter of war is sometimes left behind. Students about to get their degrees seek international counseling. With these contacts some students have gotten out of Surutato. For example, one of the alumni, Rosa Xicoténcatl, currently works at the Roslin Institute, which studies mad cow disease and achieved the first cloning of Dolly the sheep. Badiraguato also exports its men. 3 members of a "Gente Nueva" cell detained in Janos, Chihuahua on Dec. 2010 were all native sons of the Sierra. "We no longer have fear"
In the municipal seat of Badiraguato one does get a sense of fear. Rather, the stranger is treated with uncertainty. You are spied on in the streets. There are ballads that flow from trucks. 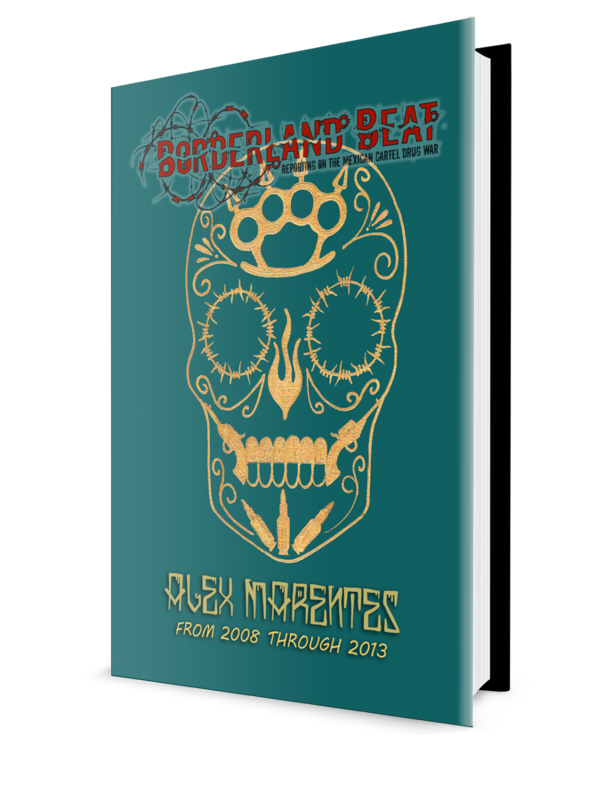 Corridos to Arturo Beltrán Leyva, who was killed in a clash with marines in Cuernavaca in 2009. "Since then we do not know what will happen here," says a man in charge of a hat store. Everyone and everything is known. The visitor is immediately discovered. Everyone knows who you’ve been with as you loiter in front of the church. "Yeah, here we feel uncertain. One no longer knows what will happen,” another man says. "But it is true, we no longer feel fear. We listen to those corridos because they are beautiful, nothing more, not because we’re bullies. In Badiraguato, however, the streets also empty at night. The frustration was evident as one of the evening shift municipal police officers spoke. What is clear is that Badiraguato is an area with a lot of poor people. “Up there in the mountains there are no schools, no roads, no electricity and no water other than that provided by Mother Nature. But there are families, and they need to live somehow,” expressed Martin Meza, the previous mayor. Can Badiraguato’s fate be changed? Is it a destination that can be rebuilt? "We will fight for more employment and investment. We will fight for Badiraguato," says Angel Robles, the new mayor. Operation Condor was a massive antidrug operation by 10,000 Mexican Army troops that swept the Golden Triangle area of Sinaloa, Chihuahua and Durango in search of marijuana and opium growers and traffickers. The operation began in 1975 under pressure from the Nixon administration that had started the U.S. “war on drugs”. It is rumored that American advisors and DEA agents took part on the ground and American pilots took part in the spraying of defoliants. The commander of the operation was General Jose Hernandez Toledo who had taken part in the student massacre in Mexico City’s Tlatelolco square in 1968. Operation Condor was in fact an extension of Latin American cold war counterinsurgency warfare using tactics that had successfully liquidated a rural guerrilla movement named “El Partido de los Pobres” led by Genaro Vasquez and Lucio Cabañas in the state of Guerrero in the early 1970's. The brutal repression used by the army in the Golden Triangle left a legacy of violence and hatred for authority that continues to this day. 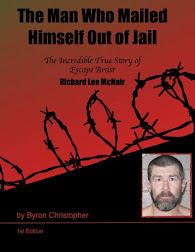 Although widely touted as being successful in reaching its objectives of destroying vast quantities of drugs, the operation was in fact a failure in that the flow of drugs into the U.S. was not stopped. Most of the traffickers were able to leave the region while the rural poor suffered most. Operation Condor also had the unintended consequence of consolidating drug traffickers into the nucleuses of the large cartels that we see today. Good report. No wonder mexico is fucked. I've always been fascinated by this small town in the hills of Sinaloa. Some one needs to do an ethnographic study about Badiraguato. No Swanka, the USA people do NOT want a borderless North American Union. That is a terrible idea economically and for society in general. Jesus man, you're all over the place today. I've been there, It's really that bad up there. It takes about 2 to 3 hours to get up there from Culiacan. I was there 2 years ago, and we got stopped four times!!!!! Not by the police, but by locals with weapons. They give you a series of questions,Who are you? Where are you going? Your full name,ect....I can just imagine how much worce it is now....Back then they would ask before shooting you-I am sure now-they would shoot us. The US is in negotiation now and near an agreement to have an open border....WITH CANADA.! Mexico, encouraged by the US to adapt US style agriculture, largely abandoned the people living in its rural areas. In Guatamala, it has been much the same, as the US helped the government in that country carry out a direct slaughter of 100,000 in its Highland areas. But just like in Mexico's Highland areas, hunger and poverty did at least the same in damage to the people living in those sareas. And just like in these areas in Sinaloa, traffic in narcotics flourishes in these government abandoned, government neglected, government destroyed rural areas of Guatemala. The blame for the drug trade does not just belong to the rural people of Mexico and Guatemala, the rural people of Peru and Colombia, but to the urban people in those countries too, and the urban people of the US. B S did you know that Mexico restricts agriculture investment,makes it almost impossible for Americans to legally operate farming or ranching operations in Mexico. Mexico has millions of acres of land highly suitable for farming and ranching all vacant and unused because foreigners cannot put in inferstructure?? Ejido a go go But for Mx Govt there could be many jobs in ag. Really excellent writing. I am in awe and deeply unworthy. But i thought Chapo helped the pueblos? Anonymous, why are you spouting such nonsense as this? As anybody can see, they have been in Mexico 39 years since 1972. The same would be true of other major US based agricultural outfits, as it is with other major US companies like HEB and Walmart, just to mention a few, which happen to have large sales of what is grown in Mexican fields. Operation Condor did in fact have D.E.A. agents on the ground all through out the triangle and cotrary to the article that calls it a falure, Operation Condor was a great sucess that took down major trafficers of that time and destroyed thousands of Acres of thier pot and poppy fields and thier properties were seized or destroyed. The D.E.A was a brand new agency that Nixon put together from the U.S. Customs and thus began his war on drugs that we continue to fight today!! Que viva el chapó y su gente. Y arriba culiacan y la sierra de badiraguato!!! Badiraguato only gets the fame that we are the bad people if you visit Badiraguato you will see that we are caring people.the people that were born and raised in Badiraguato are hard working and will not hurt anyone just remember that. Es increible como se maneja toda esta informacion acerca de la operacion "condor" creo que esta operacion ha sido una de las mas nefastas y vergonzosas para todos los habitantes de nuestro pais Mexico, donde asesinaban gente inocente, violaban mujeres y ninas enfrente de sus padres. Las familias pobres fueron las mas afectadas en todo esto, porque a los ricos nunca los tocaban y hacian pasar por culpables aquellos a quienes no tenian para pagar lo que los federales o soldados exigian. First of all, northern Mexico is not poor. If you want to see poverty go to southern Mexico. Second, the U.S. doesn't care about drugs. The "drug war" serves two purposes: (1) incarceration of "undesirable" populations in the U.S. (i.e. hispanic and blacks) and (2) squashing of popular dissent within Mexico. Of course an added benefit is that the U.S. can sell a massive amount of arms (legally) to Mexico. This is the real crime.